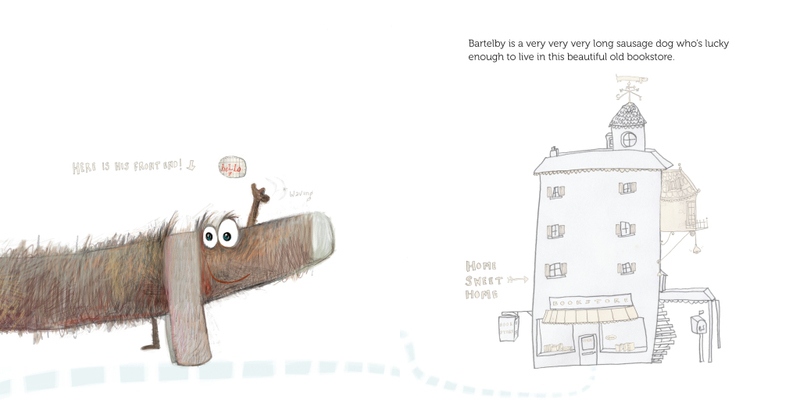 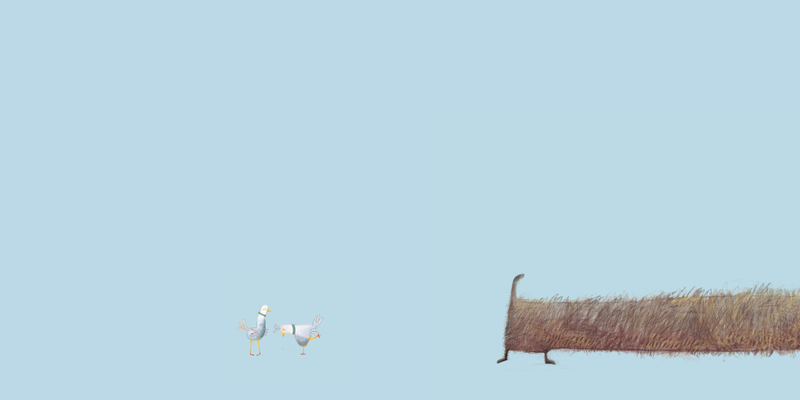 描述：Bartelby is a very long and lovable dachshund who lives in a bookstore. 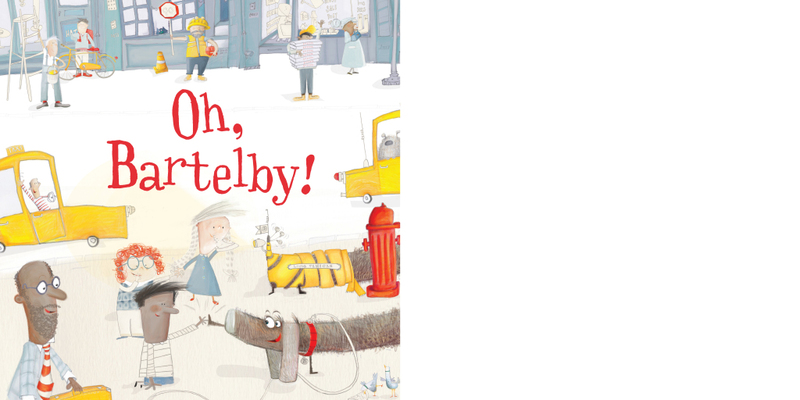 He has a lovely set of friends who take him for walks through the city, but he has no idea that his bumbling backside leaves a trail of destruction and accidents behind him. 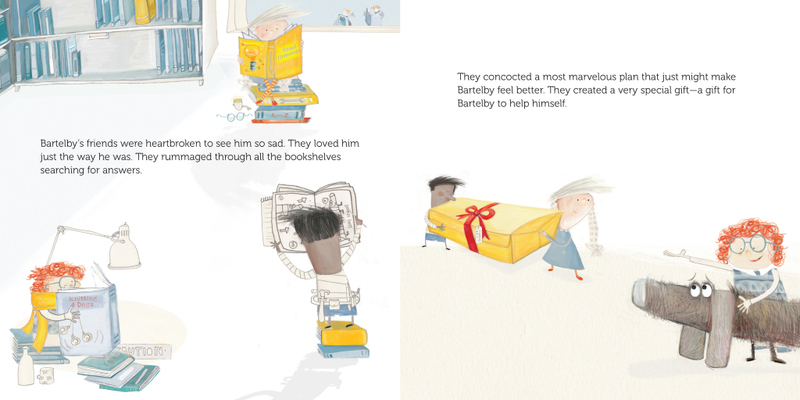 Embarrassed that he has no control over his back end, Bartelby vows to never leave the cozy bookstore again. 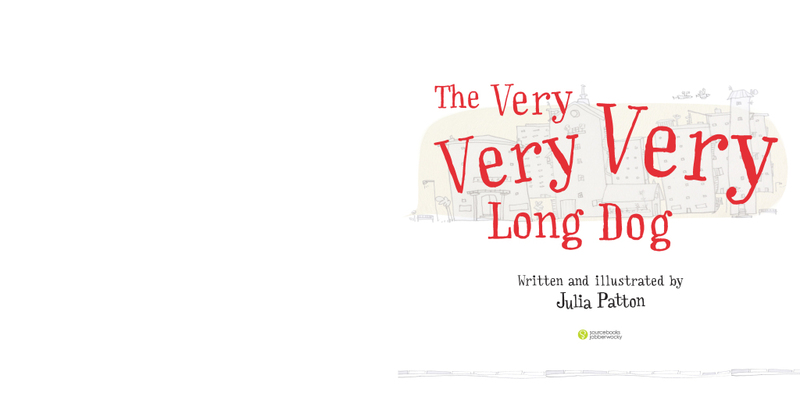 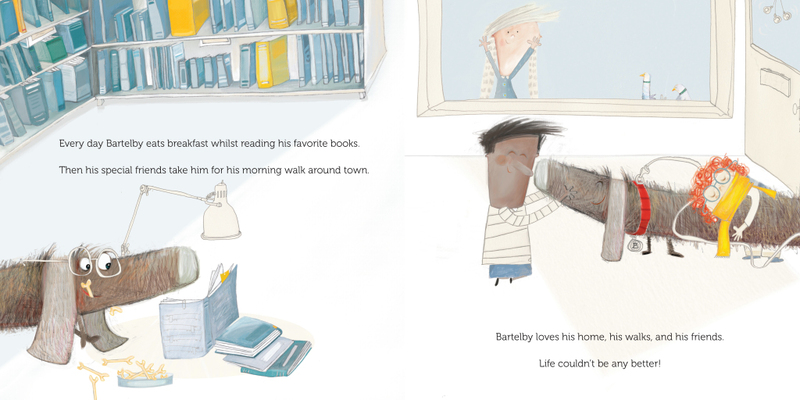 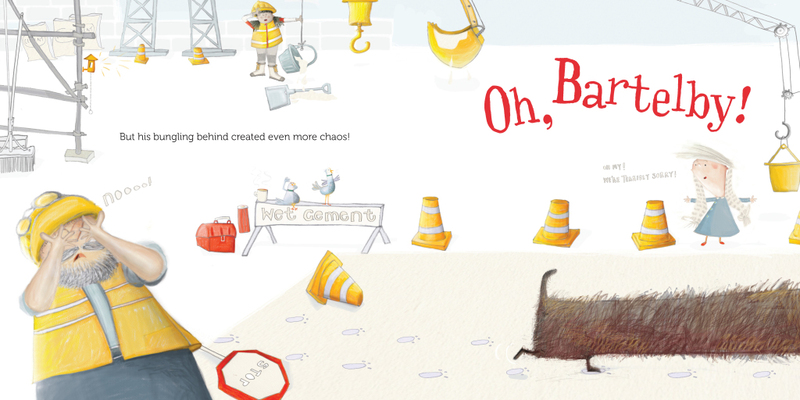 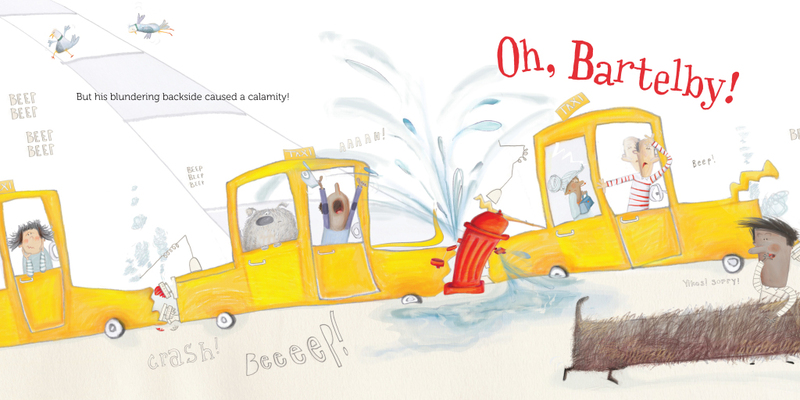 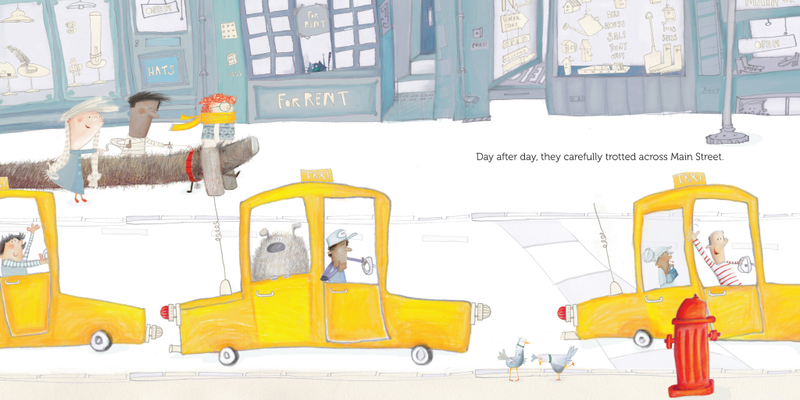 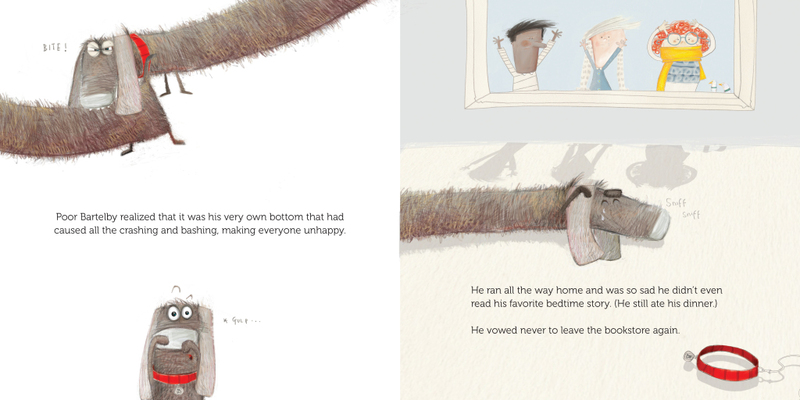 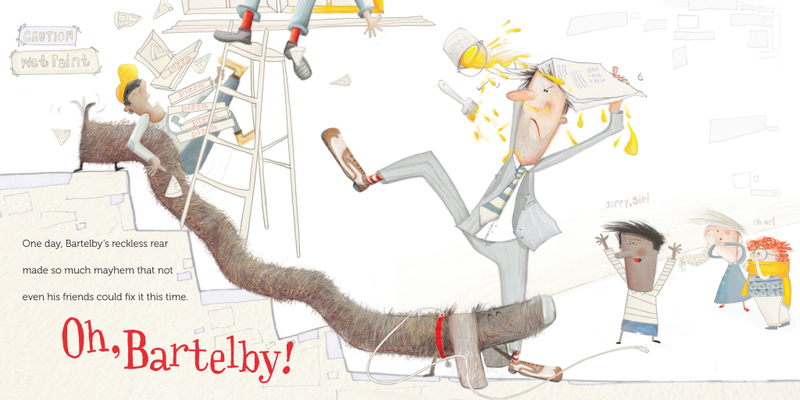 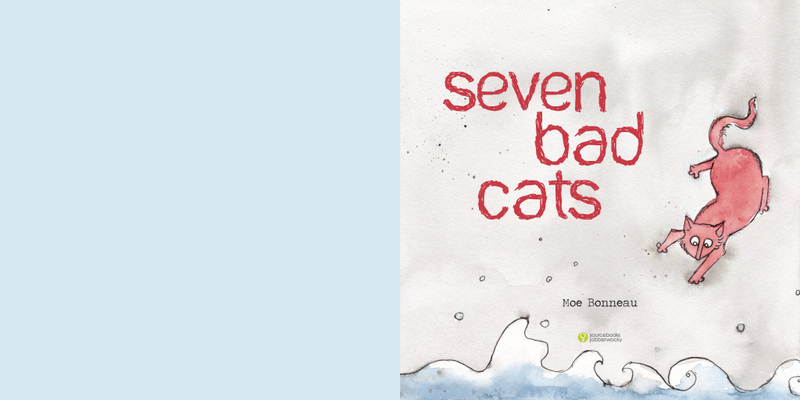 Can his friends help him find a way to help himself?This beautifully illustrated picture book features silly fun along with an important message: that we love our friends not in spite of their flaws, but because of them. 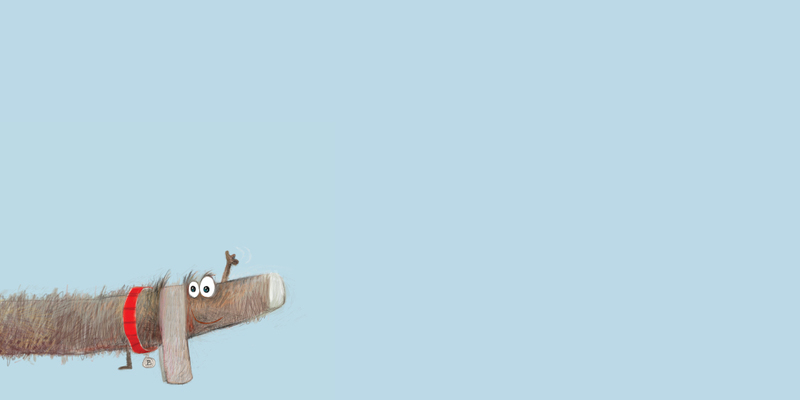 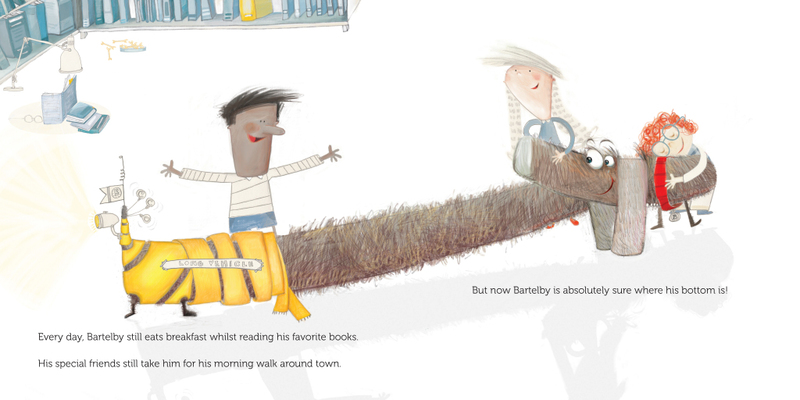 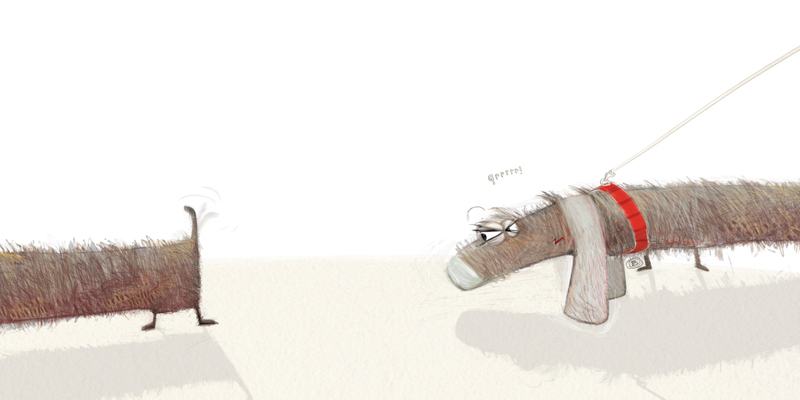 Bartelby is a very long and lovable dachshund who lives in a bookstore. 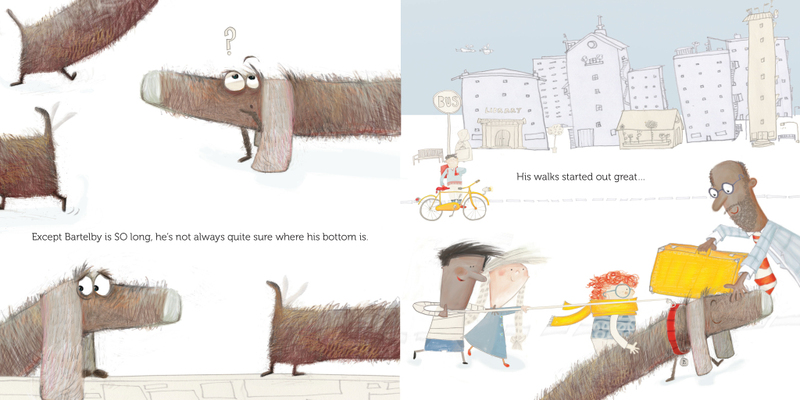 He has a lovely set of friends who take him for walks through the city, but he has no idea that his bumbling backside leaves a trail of destruction and accidents behind him. 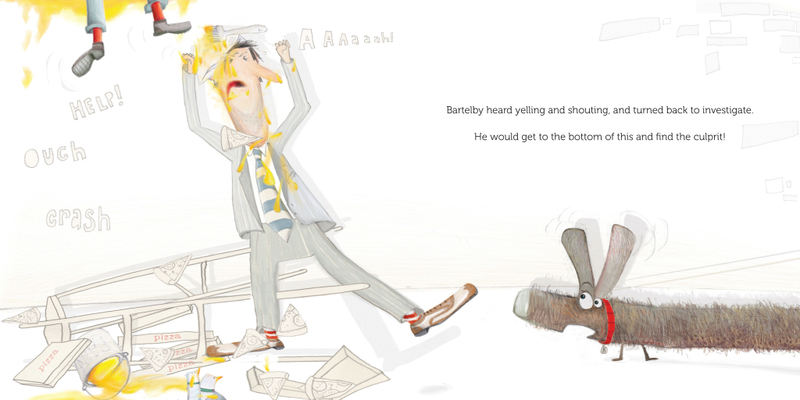 Embarrassed that he has no control over his back end, Bartelby vows to never leave the cozy bookstore again. 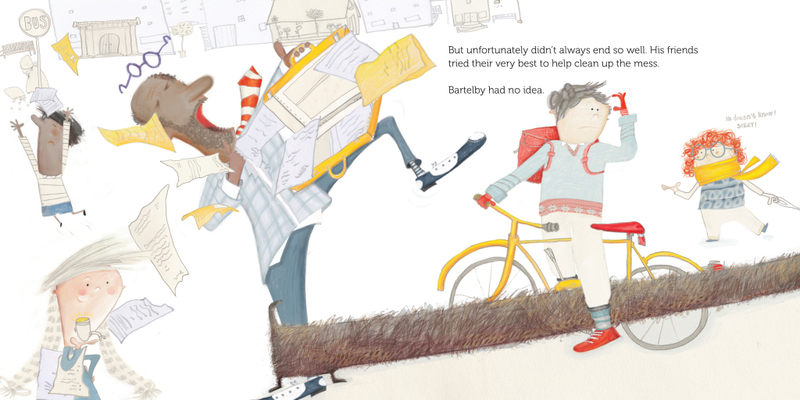 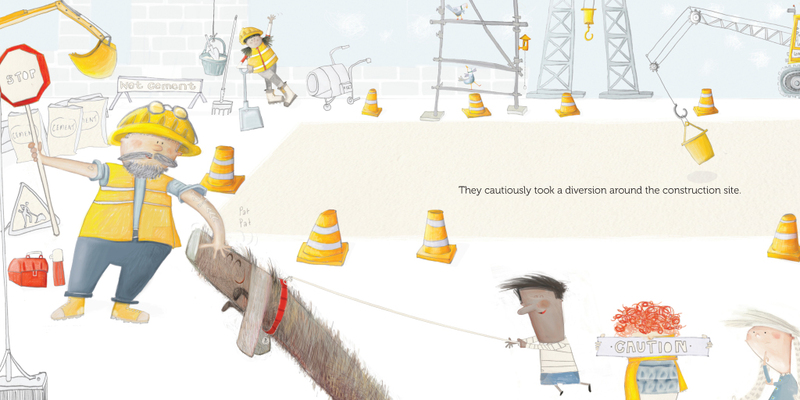 Can his friends help him find a way to help himself?This beautifully illustrated picture book features silly fun along with an important message: that we love our friends not in spite of their flaws, but because of them.